Cheesecake is one of my favourite desserts. I love the ones that are light and creamy like this month's Canadian Living Make It, Share It No-Bake Mini Cheesecake Blossoms. This makes a great dessert in the summer since you don't have to turn on your oven. 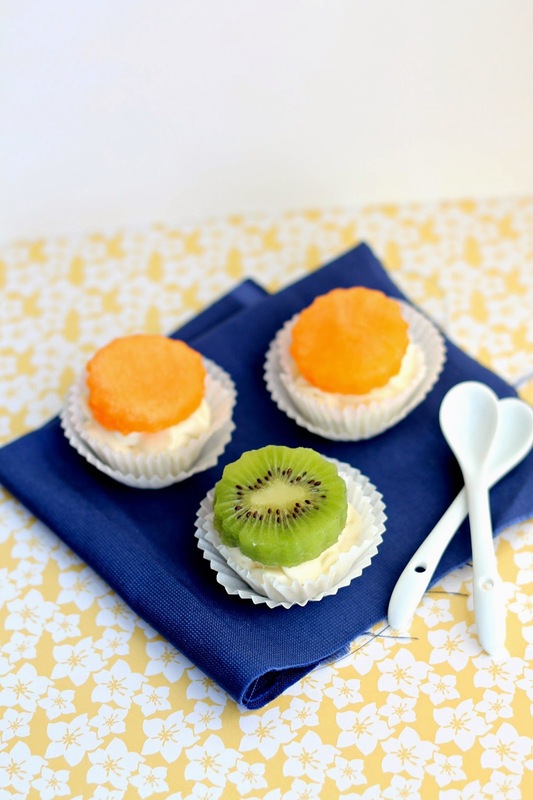 To make these No-Bake Mini Cheesecake Blossoms, you will need cream cheese, condensed milk, icing sugar, vanilla extract, gelatin, boiling water, kiwi and melon. Make sure your cream cheese is softened before proceeding. This will prevent lumps. Halal gelatin is available in Halal meat stores. In Toronto, it is very easy to find. First, using my electric mixer fitted with the paddle attachment, I beat the cream cheese until it was smooth. Next I added the condensed milk, icing sugar and vanilla extract and beat until blended. In some boiling water, I dissolved the gelatin. I found the easiest way to do this was to mix it with a metal spoon. I tried using a small whisk but the gelatin got stuck in the whisk. 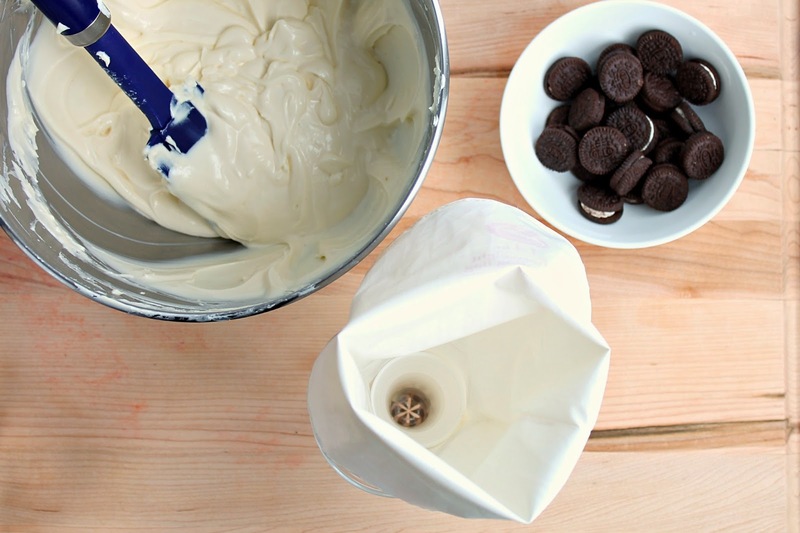 This was added to the cream cheese mixture and mixed until combined. 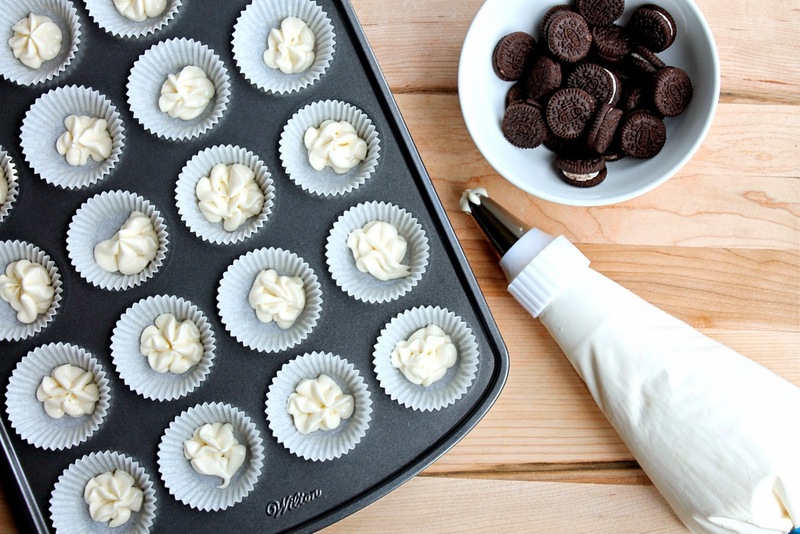 I lined a mini muffin tray with paper liners and transferred the cream cheese mixture to a piping bag. Into each muffin cup liner, I piped about 1 tsp of the cream cheese mixture. A mini chocolate sandwich cookie was placed on top of the cream cheese and pushed down so that the mixture came up the sides. 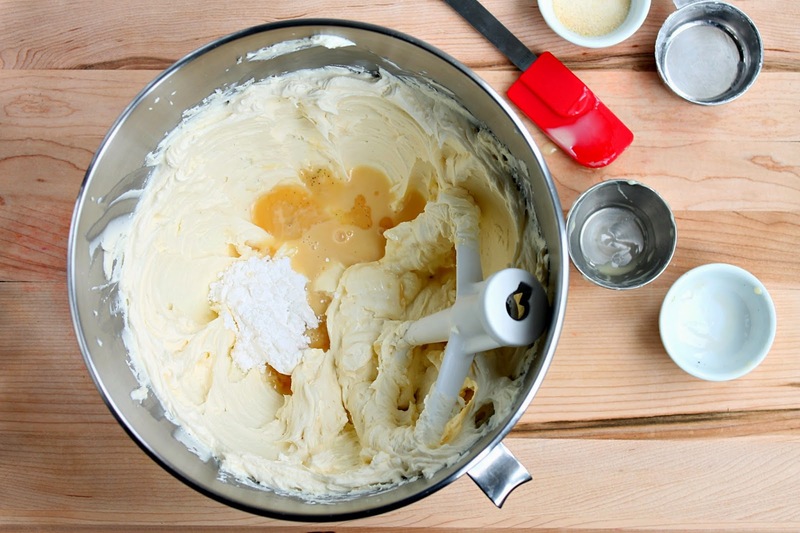 The remaining cream cheese mixture was piped on top. The cheesecakes were then put in the fridge for a minimum of 3 hours. Meanwhile, I prepared the fruit that will be put on top. 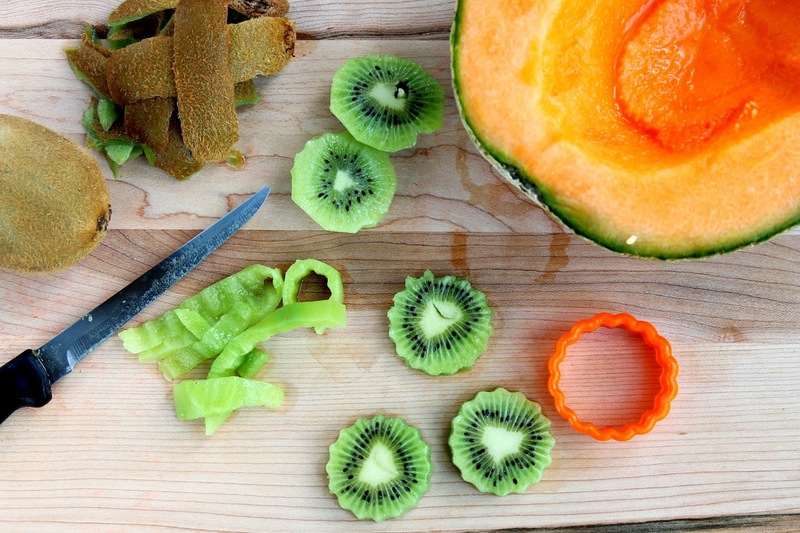 I sliced the kiwi and cantaloupe and using a flower cookie cutter, cut out shapes. When the cheesecakes were ready to be served, I topped each with a piece of fruit. 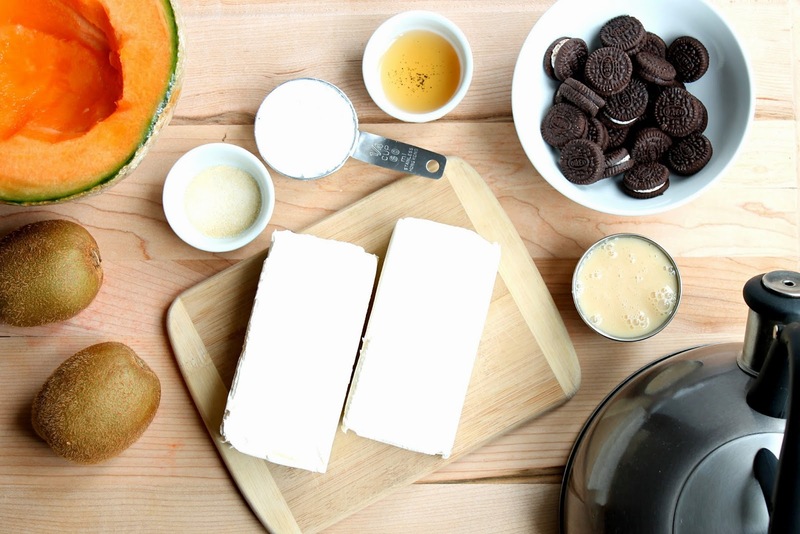 This is a very easy dessert to put together. Don't skip on adding the fruit. It adds a wonderful freshness and just the right amount of sweetness to balance the cream cheese. 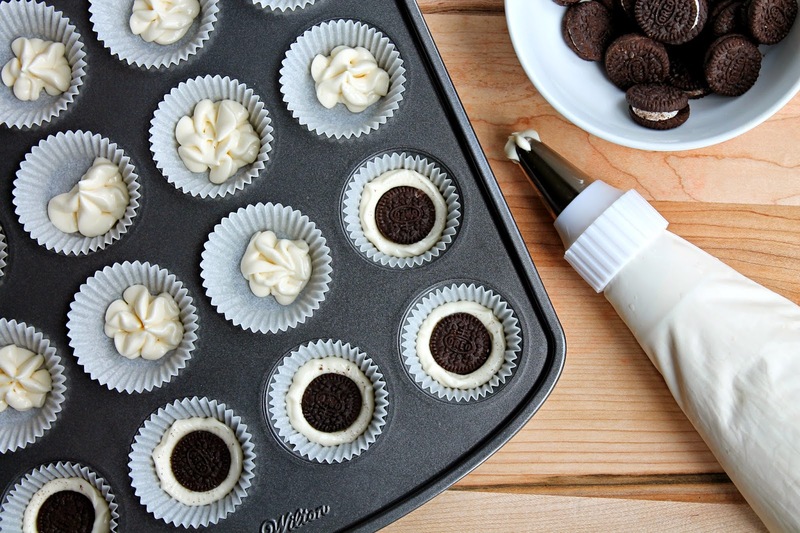 The mini chocolate sandwich cookie is a great idea to make a quick crust for the cheesecake. 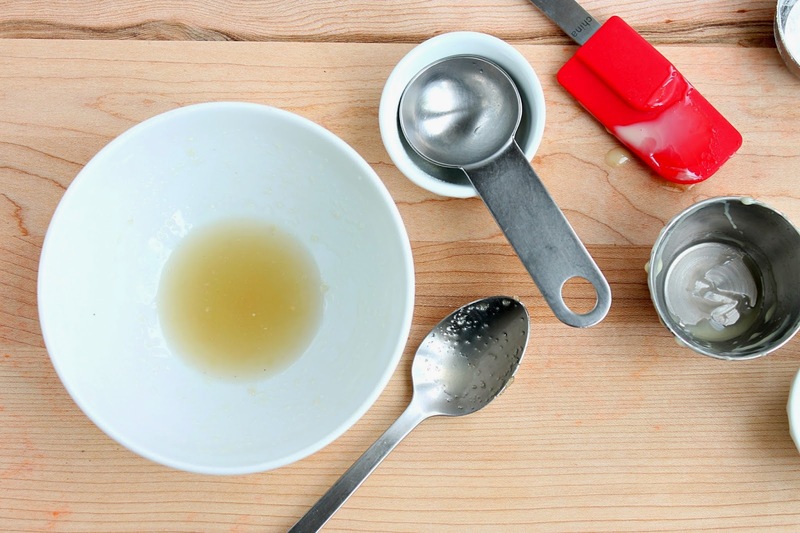 To get the full recipe, please head over to Canadian Living. 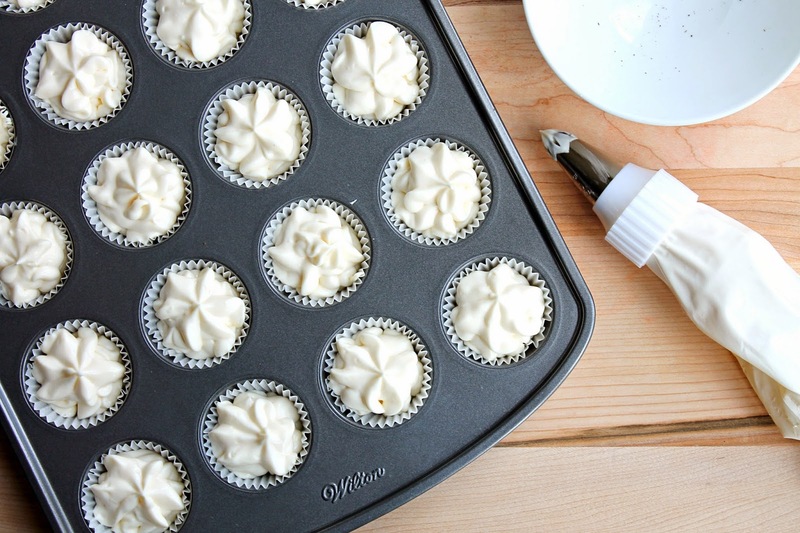 You can also watch a video on how to make these Mini No-Bake Cheesecake Blossoms here. Make your own Mini No-Bake Cheesecake Blossoms and join in the Make It Share It by sharing your picture on Facebook, Twitter and Instagram using the hashtag #CLIMadeIt. Disclosure: This is a sponsored post for the Canadian Blogger Network. All opinions are my own.